You could see as much as a 50% reduction in your annual energy costs with an Energy Shield Roofing solution. 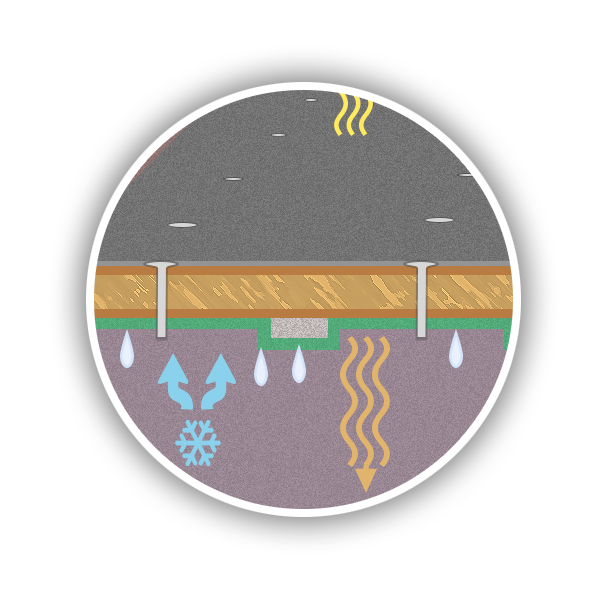 With an Energy Shield solution, you’d be 100% protected from the harsh winter and summer weather conditions. 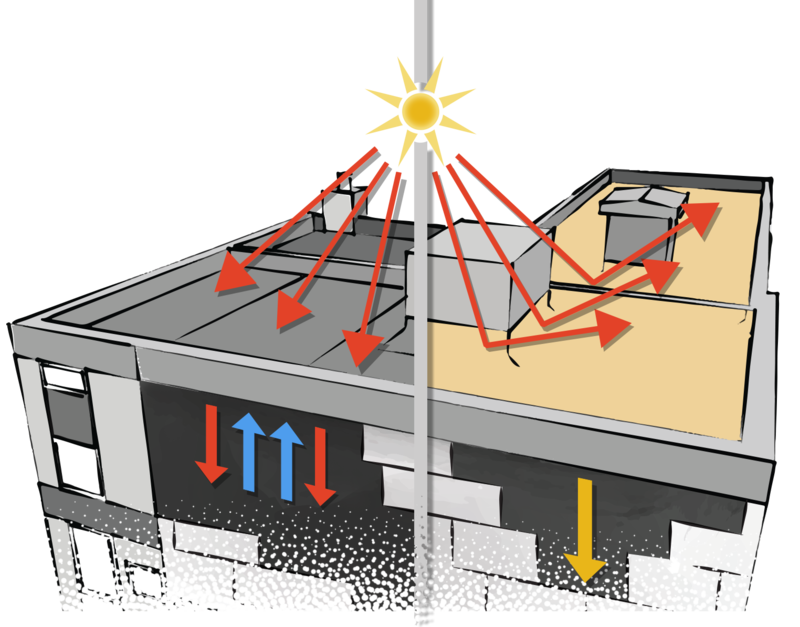 Dark colored, mechanically fastened roofs with board insulation will heat up when in contact with the air-conditioned interior, causing moisture to build up. Our spray foam or silicone coatings is a light-colored, heat reflective insulator, with no seams. And it eliminates moisture build-up and air loss; saving you money. 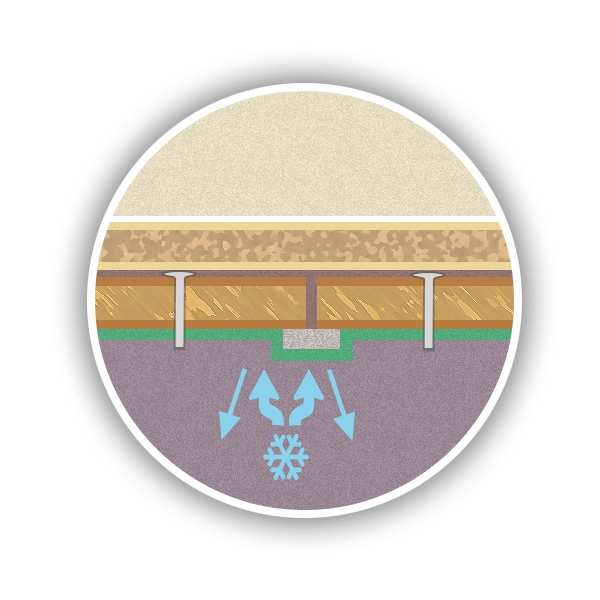 Mechanically fastened holes and seams will expand and contract under normal weather conditions. The now bigger holes, cracks, and seams let water in and can destroy your roofing substrate. Air escapes through these cracks, holes, and seams, costing you thousands of dollars because you HVAC has to work harder to compensate for the air loss. With our spray foam or silicone roof coating, all of the cracks and seams are filled and covered with a seamless, waterproof air barrier. Our solutions offer superior weather protection. Flashing, and roof coverings won’t need to be replaced, extending your roof life indefinitely. Mrs. Jones owns a small 5,000 square foot industrial building with a flat built-up roof. One Monday she walks into her lobby to find it a complete wreck. The entire lobby is soaked through the carpet, chairs are sopping wet, and the ceiling tiles have even crumbled all over the floor, and furniture. Sounds familiar, right? She does some research and calls Steve the Spray Foam Guy. Steve the Spray Foam Guy insulates the roof with spray foam and coats it with silicone. These results are real, don't waste time and money.